Verizon Droid RAZR MAXX available Thursday | Android Blast! 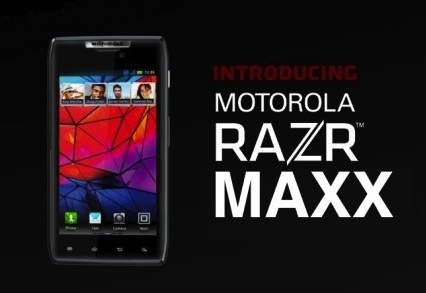 Verizon said today that the Verizon Droid RAZR MAXX will be available for purchase on Thursdya, Jan. 26. The new Droid RAZR MAXX will be available both online and in Verizon stores. The Droid RAZR MAXX will be available for $299.99 with a two-year contract. That's $100 more than you would pay for the regular RAZR. One of the most talked about features of the MAXX is the battery. It can supposedly give you 21 hours of talk time. We'll have to wait until it's released to see if that holds true but if it does, that's incredible.